This year’s Ramadan will commence from 16th May on Wednesday to 14th June on Thursday. 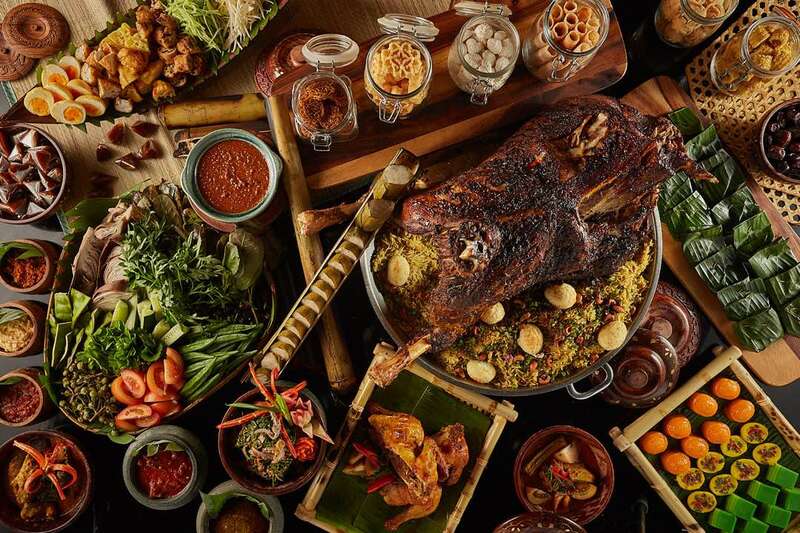 If you are looking for a nice place to “buka puasa” with your family, here are the 10 Ramadan buffet to try in Klang Valley. The highlight? There are over 150 local and international dishes to choose from. You name it — there are satay, roast lamb, nasi briyani, fish curry, teppanyaki and so much more. Of course, no main course would be complete without some desserts. Paya Serai doesn’t disappoint as you get to sample traditional kuih-muih, cakes, cendol and ice creams. Click here for more info. Available period: May 15 to June 14, 2018. Address: Hilton Petaling Jaya, 2, Jalan Barat, PJS 52, 46200 Petaling Jaya, Selangor. Savour the taste of Malaysian cuisine… 13 states, to be precise at The Cobalt Room in The Ritz-Carlton Kuala Lumpur. Expect speciality dishes like Melaka’s “Asam Pedas Ikan Tenggiri”, Perak’s “Sambal Udang Petai”, Pahang’s “Ikan Patin Masak” and Sabah’s “Talam Pandan”. The Ramadan buffet also includes some mouth-watering foods from the Middle East. Address: The Ritz-Carlton Kuala Lumpur, 168, Jalan Imbi, Pudu, 55100 Kuala Lumpur. 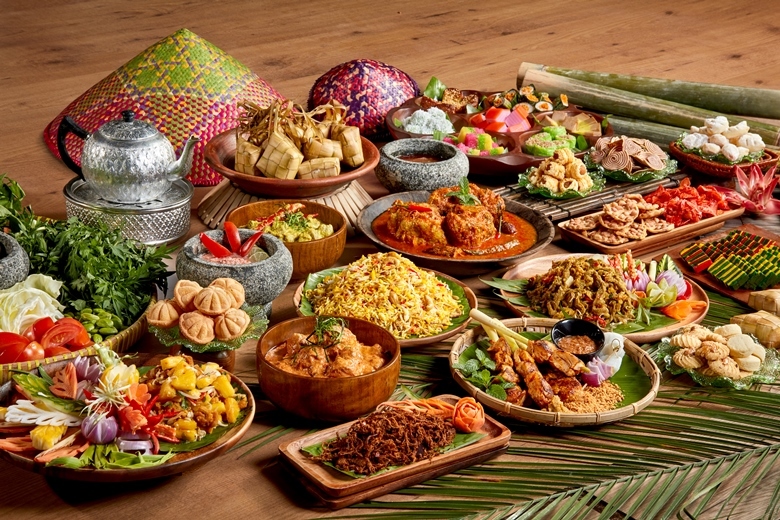 The traditional kampung cuisine is the highlight of this year’s Ramadan buffet at Nook in Aloft KL Sentral. Nook offers homey dishes like “Kambing Golek Berempah Kuzi”, “Bubur Lambuk Beratur” and Nook’s signature “Beef Brisket Rendang”. Address: Aloft Kuala Lumpur Sentral, No. 5, Jalan Stesen Sentral, 50470 Kuala Lumpur. Choices are aplenty at The Living Room in The Westin Kuala Lumpur. Local delights like “Asam Pedas Claypot”, “Gulai Keting Kambing Keluak” and “Ayam Bakar Sambal Kelapa” are among the scrumptious dishes waiting for you. For briyani lovers, there are few varieties such as “Ayam Madu”, “Whole Lamb” and “Beef Kandar”. Click here for more info. Address: The Westin Kuala Lumpur, 199, Jalan Bukit Bintang, 55100 Kuala Lumpur. 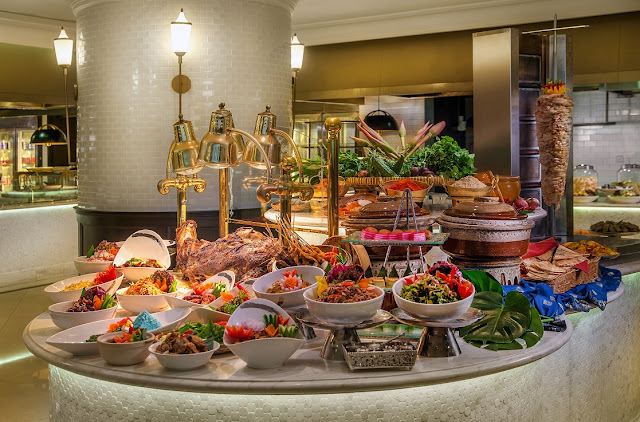 Fancy a Ramadan bazaar-style buffet at the comfort of a hotel setting? Then, you might want to consider booking a reservation at The Resort Cafe. The buffet consists of both indoor and outdoor stations. You also get to see the chefs in action… and yes, live cooking as well! Each station has its own speciality, namely the Soup Station and Noodle Station. Address: Sunway Resort Hotel & Spa, Persiaran Lagoon, Bandar Sunway, 47500 Selangor. Assorted local and international cuisine will be served during the holy month of Ramadan. There are five speciality menus in total, with various ulam ulaman like “Ulam Raja” and “Ulam Pucuk Paku”. Others such as “Sup Ayam Berempah”, “Kambing Tumis Hitam Ala Mamak” and various pasta selections are some of the tantalising dishes you can look forward to at Spices. Address: Furama Bukit Bintang, 136, Jalan Changkat Thambi Dollah, 55100 Kuala Lumpur. This Ramadan, The Mill Cafe will focus on offering traditional Malay cuisines of all kinds. You’ll be spoilt for choices since they will be serving over 300 dishes in total! Highlights include “Ayam Golek”, “Gulai Daging Salai”, “Nasi Hujan Panas” and “Whole Roasted Tandoori Lamb”. Address: The Mill Cafe, 160, Jalan Bukit Bintang, 55100 Kuala Lumpur. 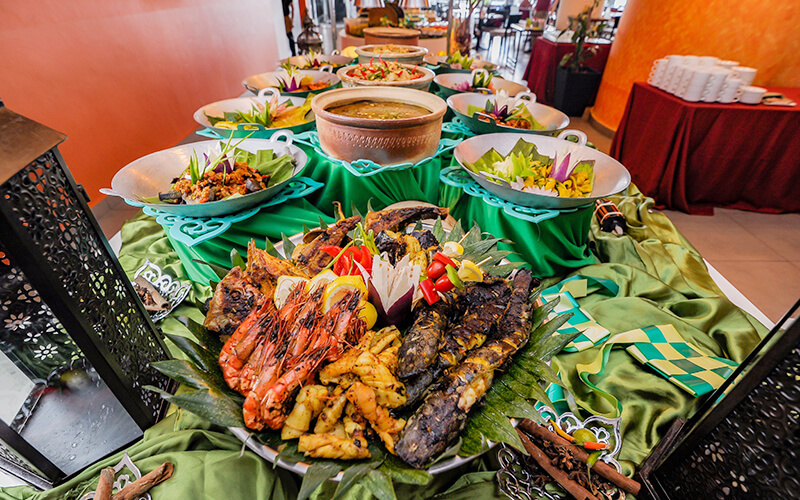 The good old-fashioned local cuisines are the highlight of this year’s Ramadan at Seri Pacific’s Zende Restaurant. Satisfy your palate with their array of mouth-watering dishes like “Sup Gearbox”, “Nasi Briyani Gam Johor” and “Ikan Patin Asam Tempoyak”. 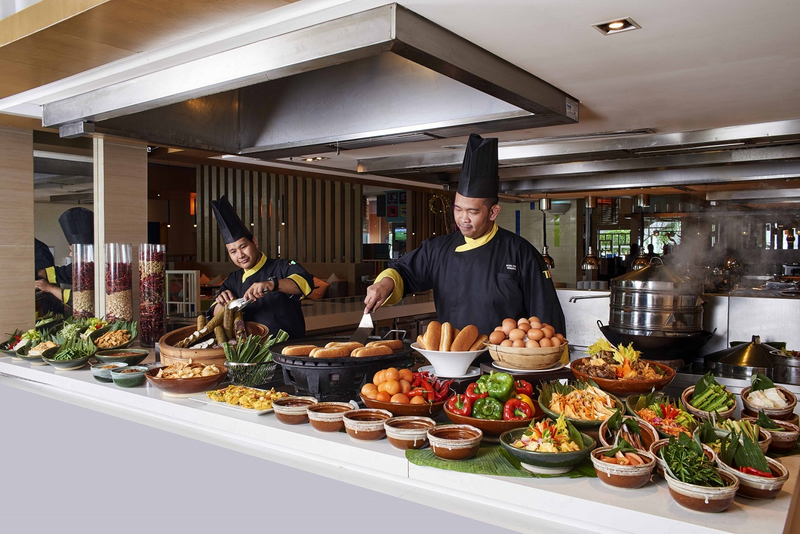 Various desserts such as assorted kuih, fresh fruits, cakes and ice creams are also served as part of their extensive buffet menu. Address: Seri Pacific Hotel Kuala Lumpur, 9, Jalan Putra, 50350 Kuala Lumpur. 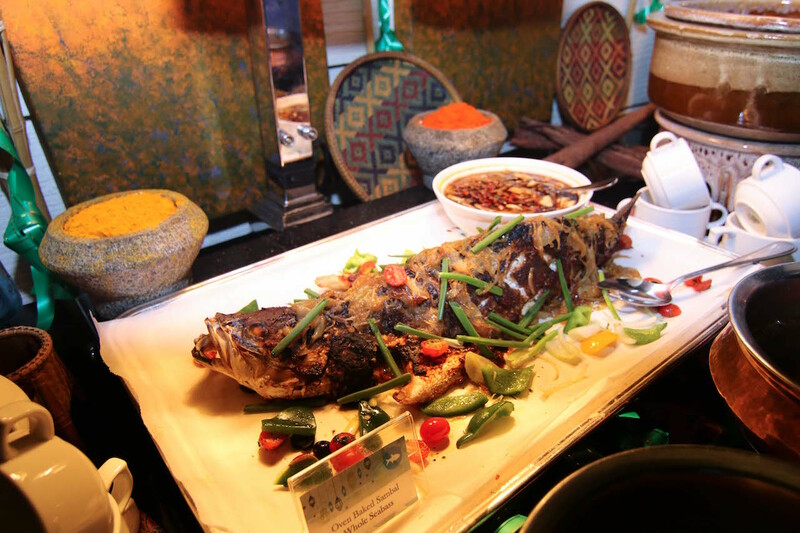 This year’s Ramadan buffet will feature a wide array of signature cuisines from different Asian regions. 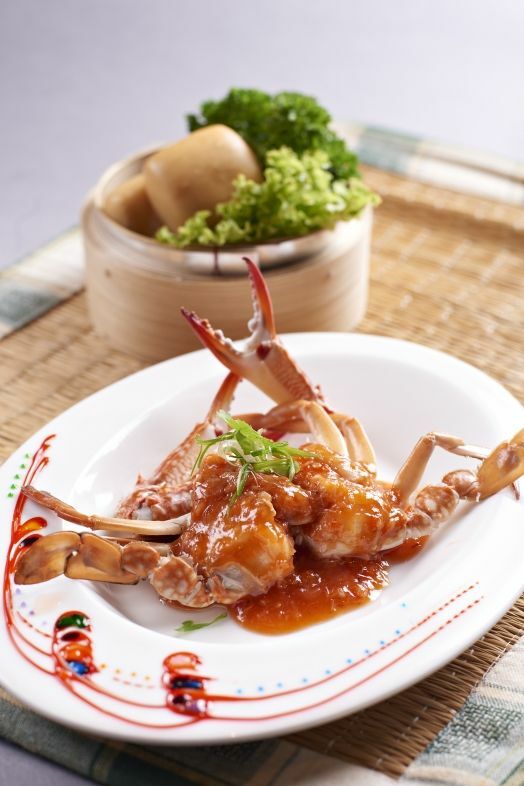 Among them are Bangkok’s “Som Tam”, Singapore’s “Chilli Crab” and Jaipur’s “Keema Bati”. Address: Le Meridien Putrajaya, Lebuh IRC, IOI Resort City, Sepang, 62502 Putrajaya. No Ramadan meal would be complete without indulging in some of the all-time local favourites. And that is what you get when you dine at The Eatery. 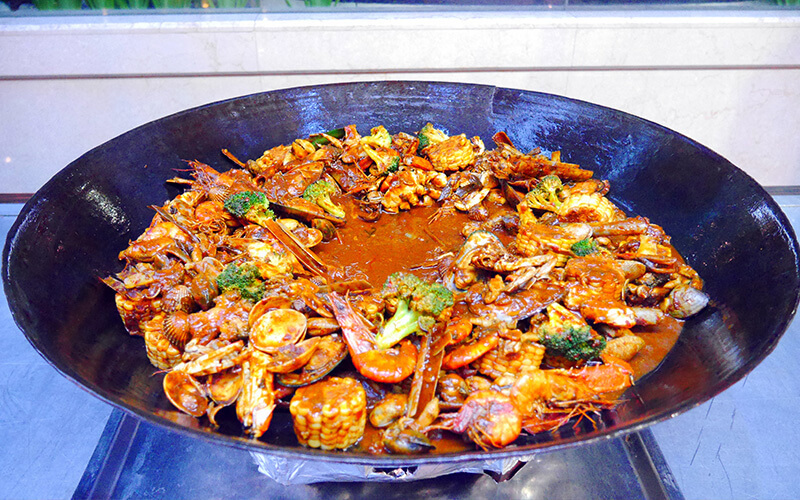 Expect dishes like “Grilled Satay”, “Nasi Kandar”, “Kambing Bakar” and “Hot Pot Soup”. Local desserts are aplenty as well, with the likes of “Pengat Nangka”, “Rojak Buah” and “Bubur Kacang Hijau”. Address: Four Points By Sheraton Puchong, 1201, Tower 3, Puchong Financial Corporate Centre (PFCC), Jalan Puteri 1/2, Bandar Puteri, 47100 Puchong.